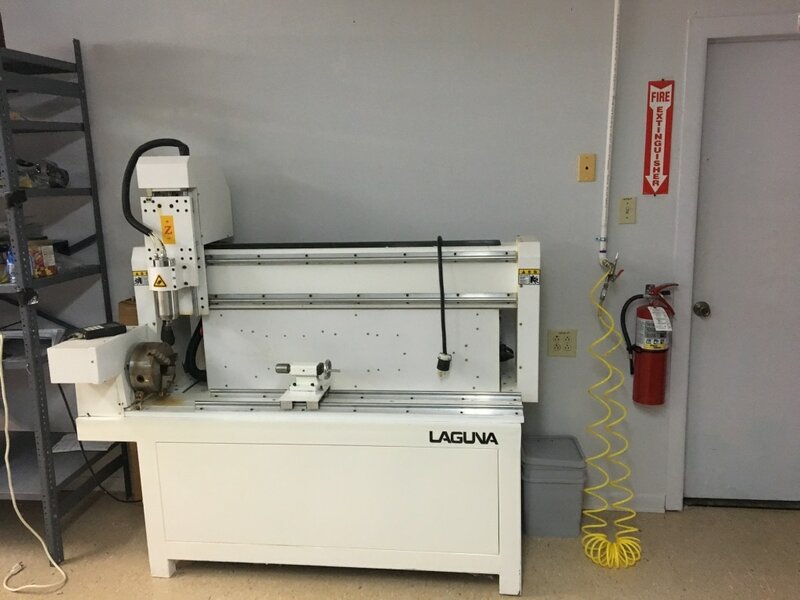 Most of our shop machines require 220 volts to operate. Each machine may require a certain consumption in amps. 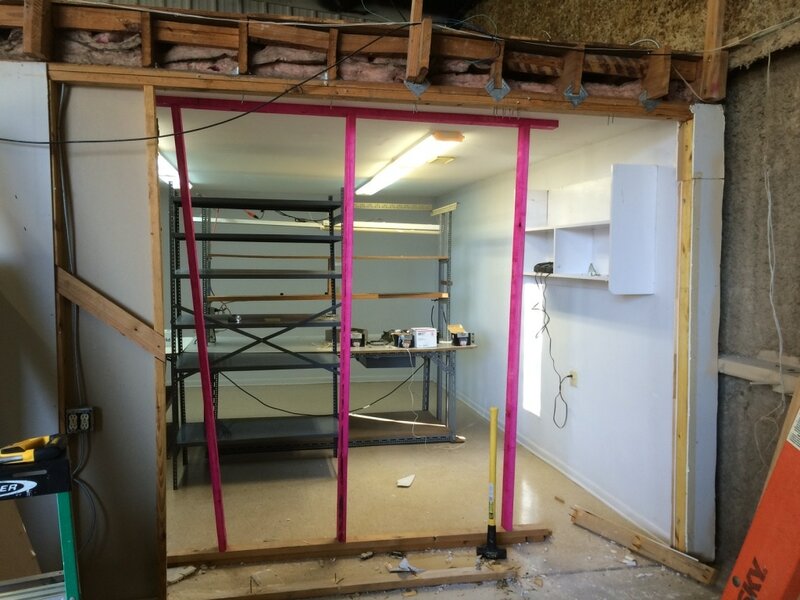 To operate the SmartShop II needs power, vacuum, compressed air, and a dust collection system. 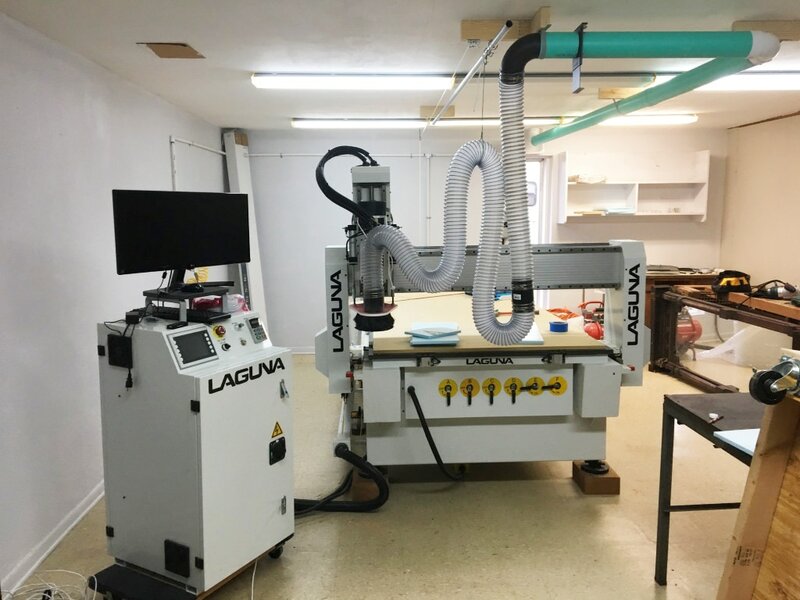 All of our wood shop machines need a dust collection system to operate in a safe environment for craftsman and operators. 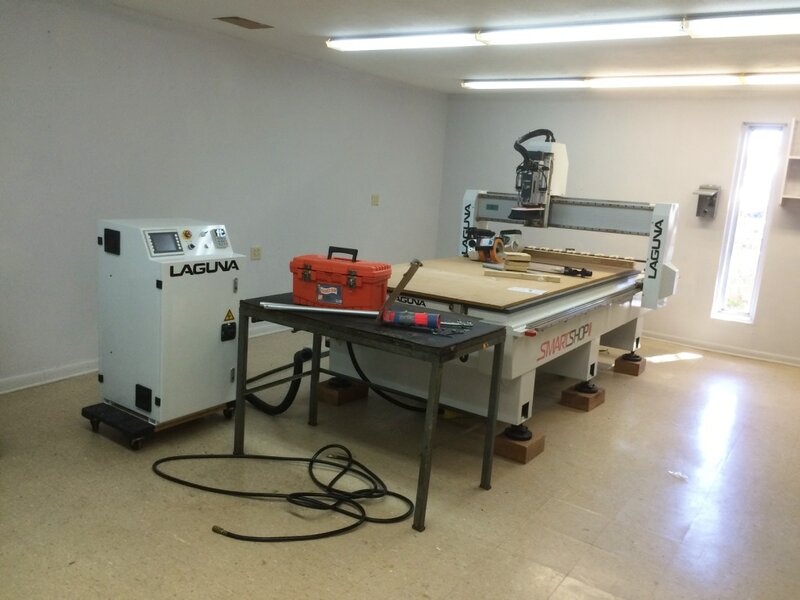 This photo shows the SmartShop II CNC machine sitting with no power, vacuum, compressed air, or dust collection system. 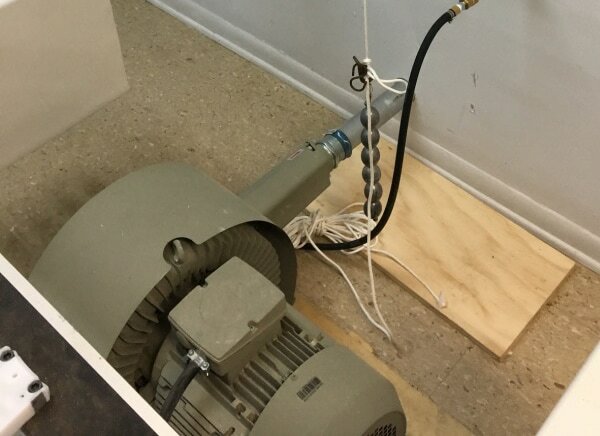 This vacuum is for the 4' x 8' table. Items placed on the cutting table are held in place by suction as the router works on them. 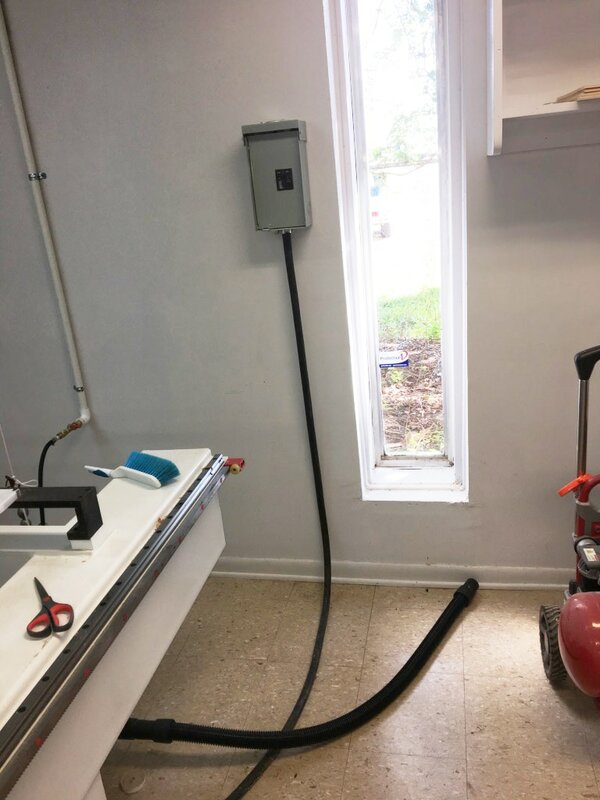 Power has been routed from the Circuit Breaker box in the open shop to the air conditioned room. 60 lbs of air pressure is required in order for different "cutting bits" to be automatically selected and changed out by the router head. There's a large compressor in the shop delivering air to many outlets for different uses throughout the shop. With the dust collection system in place we can begin to use the machine. Safety is a premium concern. 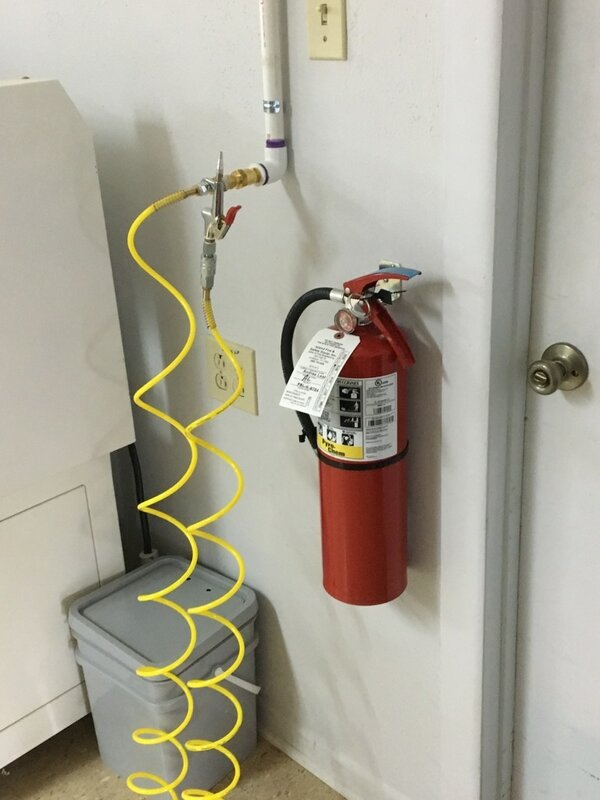 A1 Fire Equipment installed and monitors our fire extinguishers to ensure we have reliable fire suppression equipment on hand.